The upward climate in which the fuels, CO2 and European electricity markets ended last week has been maintained during this week of April 8. 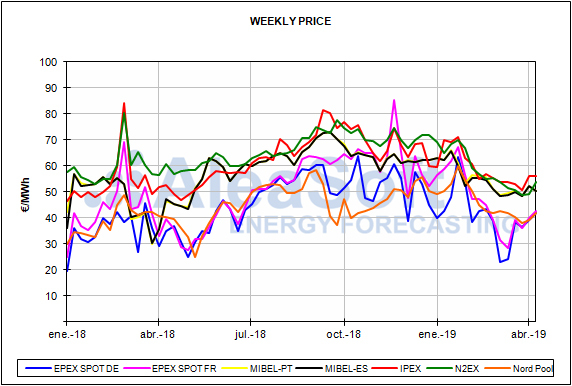 However, the MIBEL electricity market of Spain and Portugal had an average price for the first four days of this week 6% lower compared to the average price of the homogeneous days of last week, although it still has prices above 50 €/MWh and remains in the group of markets with the highest prices in Europe. 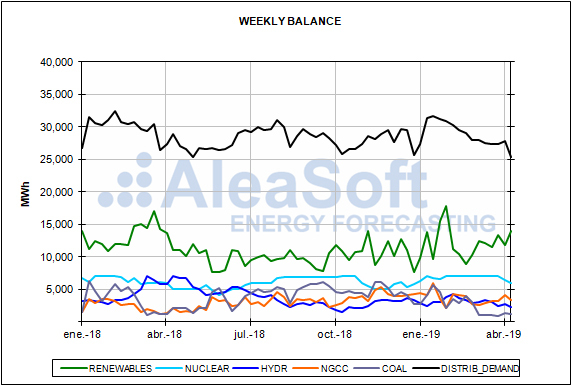 According to AleaSoft, the Iberian wind energy production, which increased by 133% in the analysed period, is the protagonist of the decrease in the electricity market prices, because this week the rest of factors that influence them had a behaviour that stresses them up: increase in fuels and CO2 prices, higher electricity demand and lower solar energy, hydroelectric and nuclear production. So far this week, the average price of the rest of European electricity markets rose between the 7% of the EPEX SPOT market in the Netherlands, and the 17% of the British N2EX market, with the exception of the Italian IPEX market that had a slight drop of 0.1%. These markets have been more affected by the increase in fuels and CO2 prices and, in addition to that, in Germany and France the renewable energy production was lower compared with that of the homogeneous days of last week. The European markets continue to be distributed in two groups according to their price. 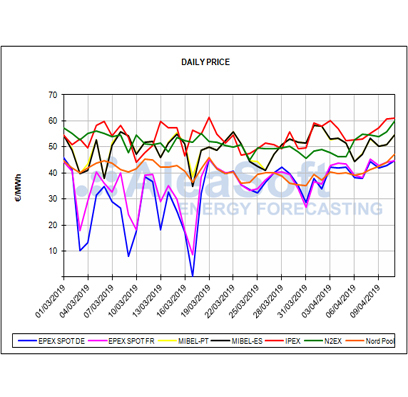 In the group of markets with lower prices, which this week have been around 44 €/MWh, and since mid-March are very aligned, are the EPEX SPOT market of Germany, France, Belgium and the Netherlands and the Nord Pool market of the Nordic countries. 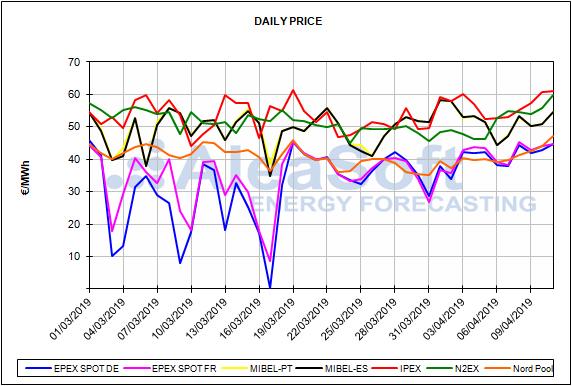 And in the group of markets with the highest prices, covering a broader price strip, this week from 50 €/MWh to 61 €/MWh, there are the MIBEL, N2EX and IPEX markets. 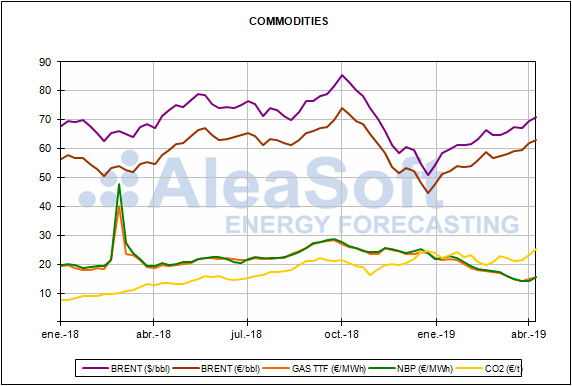 The price of Brent oil futures for the month of June in the ICE market this week continued to mark annual highs, exceeding 70 $/bbl and reaching 71.73 $/bbl on Wednesday, April 10. This upward trend continues to be supported by the OPEC cuts, the political crisis in Venezuela, the US sanctions on Iran and the conflict in Libya. 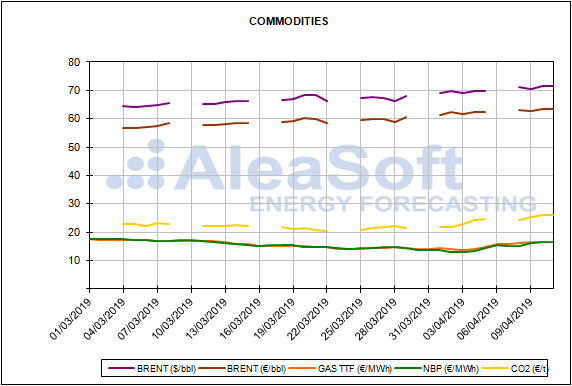 On the other hand, the price of TTF gas futures for May in the ICE market remained this week oscillating around 16 €/MWh, value that was already exceeded last Friday, April 5, when it rose 24% in only three days. In yesterday session, April 10, it settled at 15.73 €/MWh. 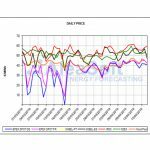 The API 2 coal futures for May 2019 in the ICE market exceeded again the 64 $/t on Tuesday, April 9, when they settled at 64.15 $/t, although in the April 10 session they fell slightly until settling at 63.70 $/t. 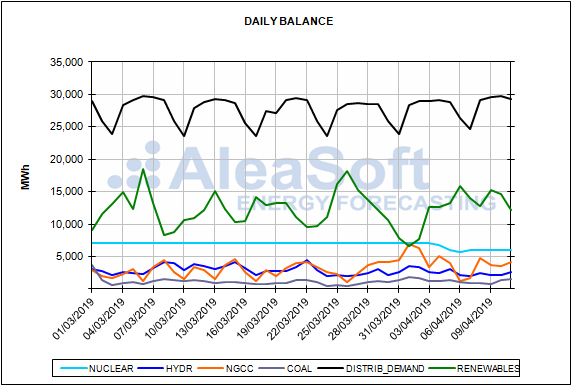 In AleaSoft, the coal price is expected to return to the bearish trend in the coming days if the price of CO2 emission rights continues high. The prices of the CO2 emission rights futures in the EEX market for the reference product of December 2019 settled at 26.13 €/t on Wednesday, April 10, the maximum value since the product is negotiated, which represents an increase of 13% compared to Wednesday of previous week. This increase was due to the possibility that the Brexit could be delayed by one year. European electricity futures markets continue to rise, reacting to the rises of fuels and CO2. The futures of Spain and Portugal for the month of May in the OMIP market rose by 6.5% between the session of Friday, April 5, when they settled above 51 €/MWh, and the session of April 10, when they settled above 54 €/MWh. The Spanish futures for the same month in the EEX market rose by 7.3% in the analysed period, settling yesterday, April 10, at 55.18 €/MWh. The rise in the futures of France and Germany for the month of May in the EEX market between April 5 and 10 was 6.4% and 6.9% respectively. In the session of yesterday, April 10, the settlement price for this product was 41.63 €/MWh in the case of France and 42.68 €/MWh in the case of Germany. The electricity demand of mainland Spain dropped by 2.1% in the first three days of this week, from April 8 to 10, compared to the first three days of last week. Next week, the demand will fall due to the Holy Week holidays and temperatures higher than this week. In the first three days of this week, the wind energy production in Spain increased by 147% compared to the homogeneous days of last week. 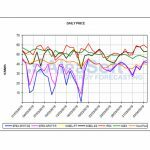 For the next week of April 15, the production with this technology is expected to slightly fall with respect to the values of this week. The solar energy production, which includes photovoltaic and solar thermal, dropped by 14% so far this week, compared to the first three days of last week. 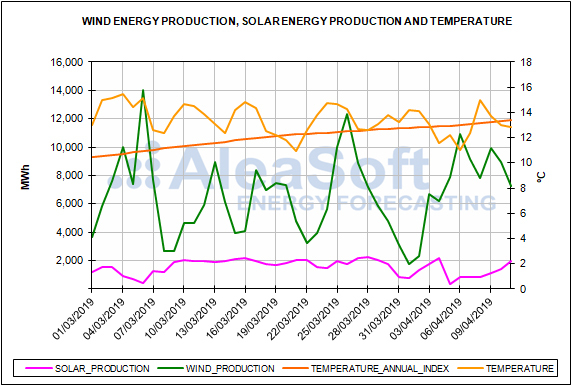 For the next week, in AleaSoft is expected that solar energy production will increase with respect to the values of this week. As the sunshine hours increase, the trend of production with these technologies will be to increase. The nuclear production fell compared to last week, 15% so far this week, as the Vandellós II nuclear power plant started an unscheduled stop on April 4 afternoon because problems in a valve were detected, as reported by the Spanish Nuclear Safety Council (CSN, by its initials in Spanish). This stop has a similar origin to that suffered by this plant on December 18 of last year. On that occasion, the plant was fully operational on January 5 of this year, after 18 days of disconnection. 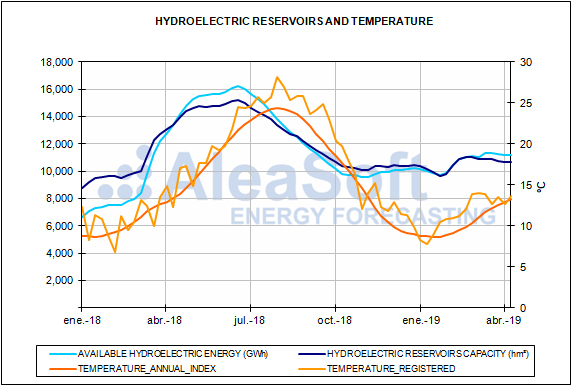 In the first three days of this week the hydroelectric production was 29% lower than in the first three days of last week. According to the last Hydrological Bulletin of the Ministry for Ecological Transition, the hydroelectric reserves dropped by 170 GWh in the last week, currently amounting to 11 012 GWh, which represents 47% of the total capacity.